The plot: Based on the 1974 novel by James Baldwin, in early 1970s Harlem, daughter and wife-to-be Tish vividly recalls the passion, respect and trust that have connected her and her artist fiancé Alonzo Hunt, who goes by the nickname Fonny. Friends since childhood, the devoted couple dream of a future together, but their plans are derailed when Fonny is arrested for a crime he did not commit. This masterpiece directed by Barry Jenkins is one of the best films Kpolly says he has seen in years…maybe since “Moonlight,” which Jenkins also made. Just like that film, “If Beale Street Could Talk” was just perfectly executed. Everything was on point, from the music to the tone, pacing, style and acting. This movie does a great job of balancing head with heart and external, cultural struggles with internal, familial and personal struggles. It does this so well that each time one of the characters smiled, in spite of all they’re dealing with, it made us want to burst out in tears. One of the standout scenes is where Tish and Fonny are looking for apartments together. Due to housing discrimination, they keep being turned down. Finally, they meet a landlord played by Dave Franco (we know, odd choice), who rents to them. The main character, Fonny, asks him why he, a white landlord, would rent to them when none of the other ones would. Franco’s character replies with something along the lines of “I want to rent to people who love each other.” It’s those brief glimmers of hope within a story of so much struggle that made this movie beautiful. And the intimate dialogue throughout the movie makes you feel the same way, though it’s much more subtle. It depicts black friends—especially males—and family members talking to each other in a way that’s not often depicted in movies, in a way that one writer says feels “more real than life.” Those conversations are what makes this film so rare. 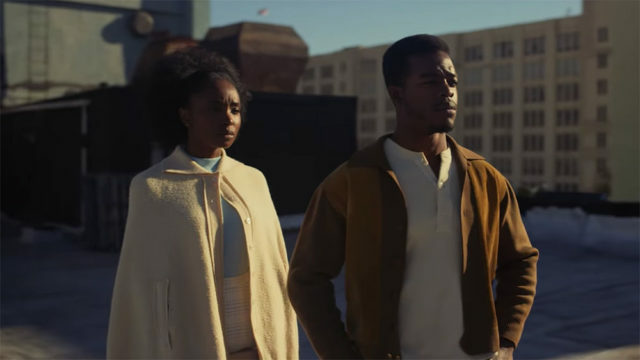 “If Beale Street Could Talk” is now showing in Milwaukee. At first, we were at a loss for words trying to describe what exactly made “If Beale Street Could Talk” so good. That’s how good it was and how real it felt. We’re 88Nine’s Justin Barney and Milwaukee Film’s Kpolly. We’re buds, we like cinema—we’re Cinebuds. 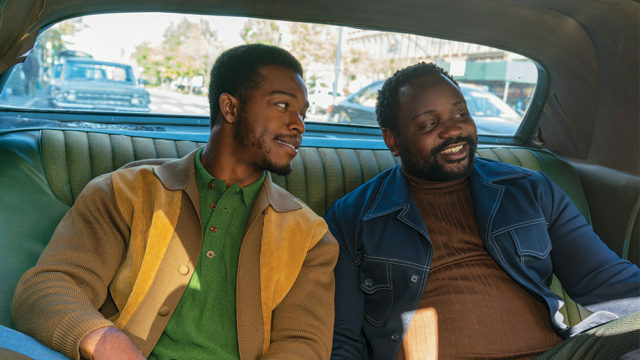 This week on the podcast, we’re talking about “If Beale Street Could Talk.” It’s in Milwaukee theaters now. Read more to find out what we thought about this Oscar nominated movie and listen to the full podcast to hear our takes on some other 2019 nominees.